If you favor power over frills, you'll love the Accel. Compact and responsive, its clean lines and efficient shape make it an excellent all-around fin. Unique, high-stretch heel straps are effortless to slip on and off and dramatically reduce the bulk and drag associated with typical open heel fins. 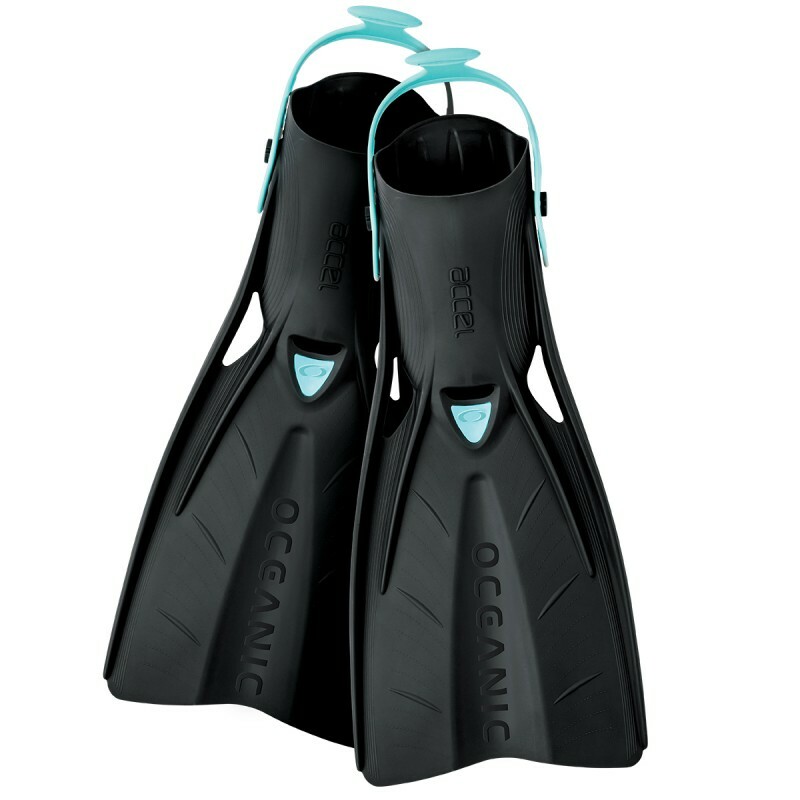 The angled, compact blade has excellent water flow characteristics and also allows divers to swim efficiently with multiple kicking styles, from scissor to frog to sculling.